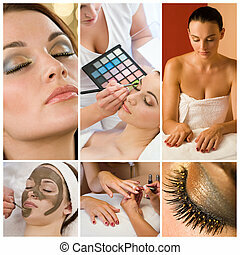 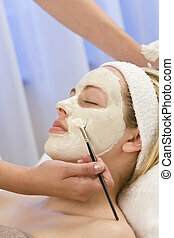 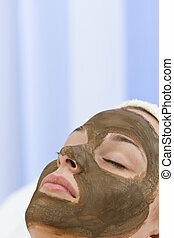 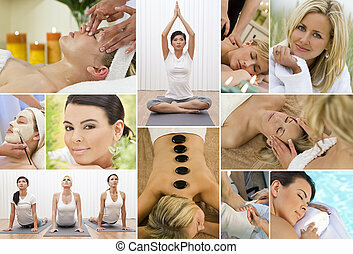 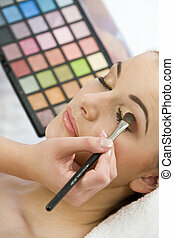 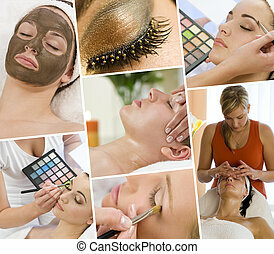 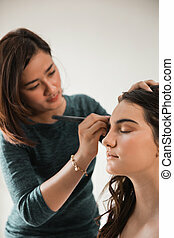 Beautiful woman having make up applied by beautician at spa. 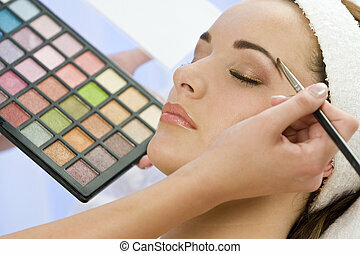 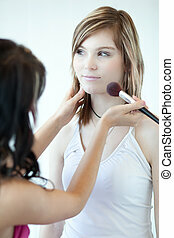 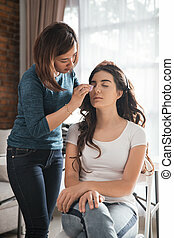 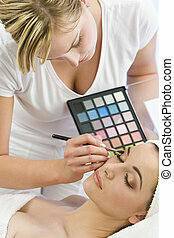 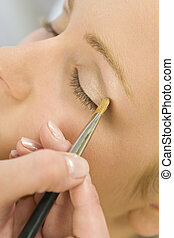 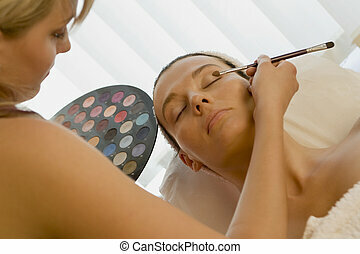 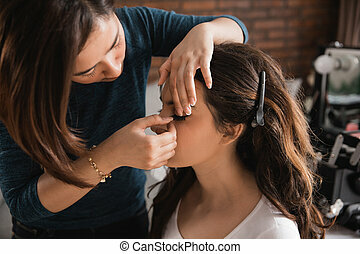 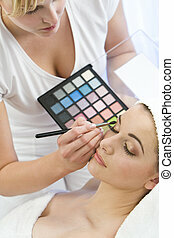 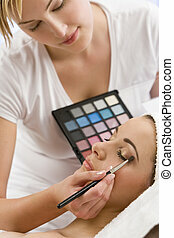 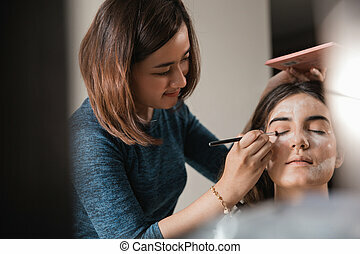 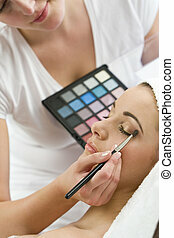 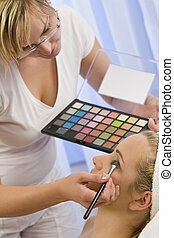 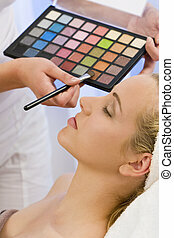 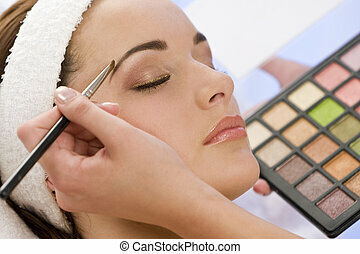 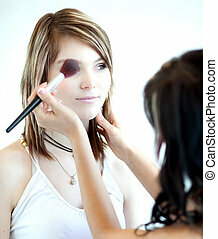 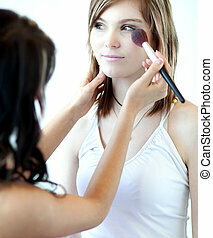 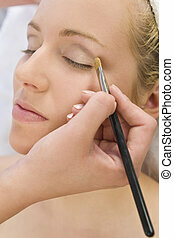 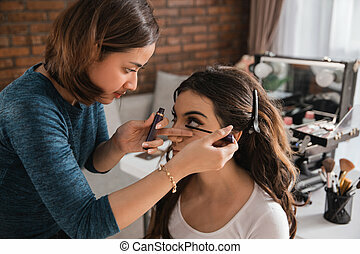 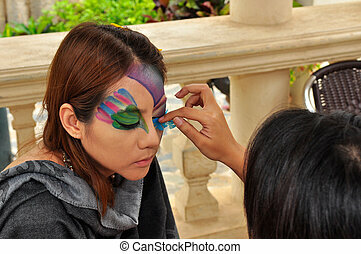 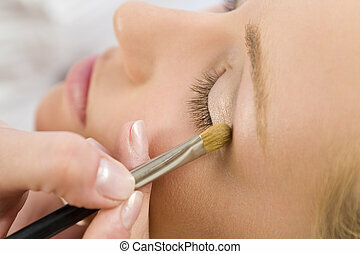 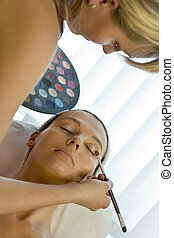 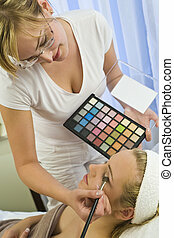 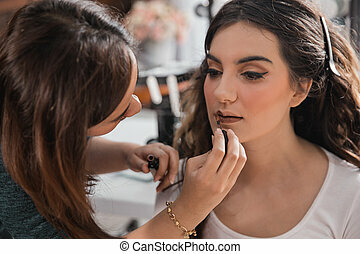 A beautiful young woman having her make up applied by a beautician in health spa. 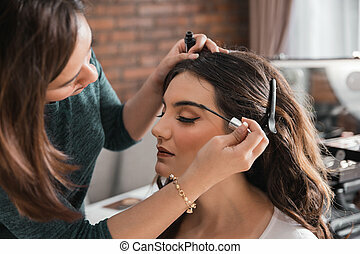 Studio shot of a beautiful young brunette woman with striking brown eyes and a lovely smile, her hair is being blown by a fan and it has been shot against a sparkling gold background.